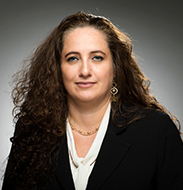 Mrs. Anat Tal-Ktalav has been serving as president of ICL´s Industrial Products Division since August 2018. Mrs. Tal-Ktalav joined ICL in 1995 and served in various leading positions in the Industrial Products business segment, including Marketing Director of Flame Retardants, Vice President for Industrial Solutions (Bromine and Compounds Business Line), Deputy to the President of ICL Industial products, and until recently, as the Executive Vice President of ICL Industrial Products. Mrs. Tal-Ktalav holds a degree in chemical engineering from Ben Gurion University.